There is some good news coming out of the ashes of the horrendous Station Fire that continues to burn some parts of LA County: Stony Ridge Observatory is safe. The observatory, located approximately 5 miles north east of the larger Mt. Wilson Observatory, was built and is run by amateur astronomers. 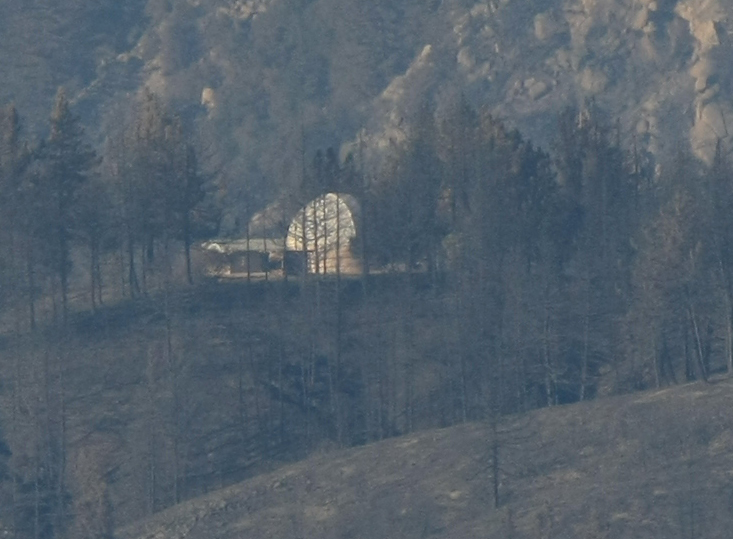 Also, the site is a lot smaller, meaning the single observatory dome couldn’t receive the same amount of fire fighting attention as the historic Mt. Wilson site. Fortunately, it would appear the 30-inch Newtonian-Cassegrain telescope is safe inside it’s domed home. Tonight, Pam Sable, a member of the Stony Ridge Observatory, sent me a message confirming that the site was safe. However, the wildfire has left its mark. “Our site is in what used to be, a lovely forest only 50 minutes from my home in Glendale, which itself is an area only 20 minutes from Downtown L.A. Once in the Angeles Forest, all the sights and sounds of the city are gone. The damage to the forest is very sad but at least it will return in time. Yet if Stony Ridge had been destroyed, it would have been irreplaceable by today’s costs. We are very, very fortunate.” –Pam Sable, Stony Ridge Observatory astronomer. Indeed, the fire is still burning. Unfortunately, fire fighters are hurrying to extinguish the blaze as hot weather is forecast for the next week. There’s also the spectre of the Santa Ana winds that could cause some complications.